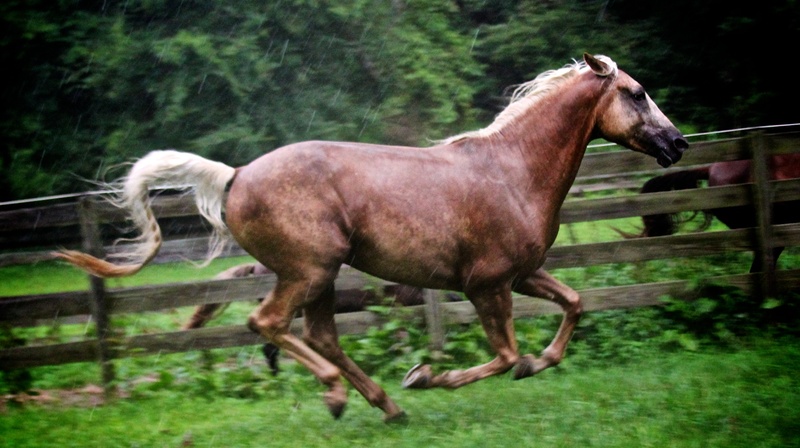 2008 Palomino Morgan Gelding by Amberfield’s Desperado. Heritage Morgan type and Western Working Lines. >> Note: The last video below indicates Amigo is for sale. He is retained at present. I originally purchased Amigo as a bit of a ‘surrogate trainee’, with the intent of training him up to resell fairly quickly, while I waited for Empire (three at the time) to get old enough more concentrated work. Amigo had been thoughtfully bred, with solid Morgan ‘working western’ lines, and had enjoyed lot of people interaction and care by his previous owners who had bred him. But as a stallion of four years old, standing near 16 hands, he was still a handful. Basic training (halter training and initial backing) is important, but it is a task I will outsource to the right trainer if I’m busy. Shortly after Amigo’s purchase, I found myself traveling full time, and accommodating recent full custody of my two young children. I put Amigo’s initial backing out to a good a trainer whose methods and techniques would not be destructive to the work I would do with him when the time came. She did a good job with him, made a lot of progress, and got him in fighting shape. Unfortunately, she hit a snag when she asked for the canter: he would take a stride or two and then decide he’d rather not. If pushed, he would endeavor to eject her with a focus she had not seen before, and, after several attempts, she eventually decided she would rather not resolve the issue herself, for fear of getting seriously injured – a decision I absolutely respected. So Amigo was returned to me as a health risk. 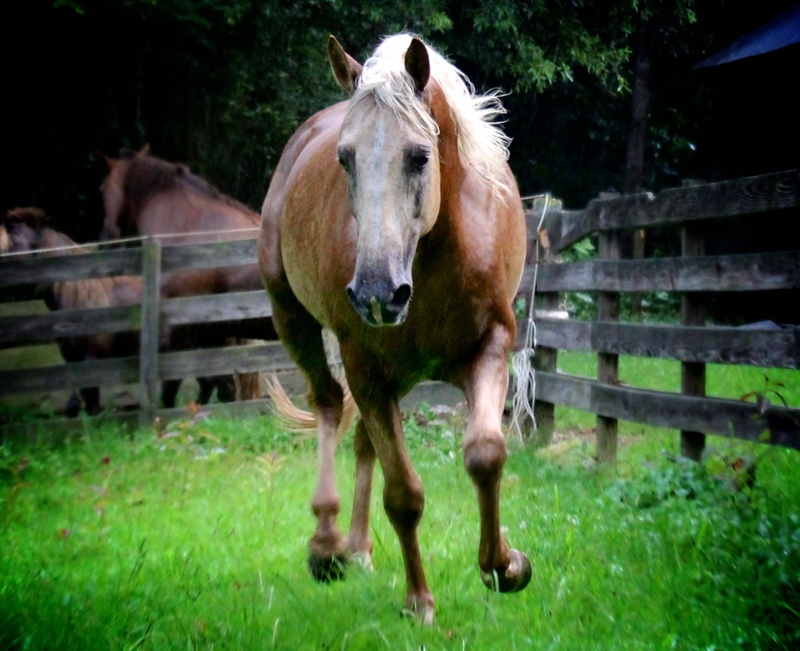 My barn manager, JR – a seasoned horseman, who had worked extensively with Paso Fino’s in his native Purto Rico – took a shine to the beautiful Palomino stallion, in spite of his reputation, and began riding him at the walk and trot around the farm. But Amigo became increasingly restive, and JR came off one day, injuring his left knee rather badly. After this incident, I was feeling bully enough to take him out and see what he had to give me. I did not necessarily need him to canter yet – and, in retrospect, I should have simply waited until I normally would have – but if he was going to be an unpredictable health risk, my thinking was I wanted to resolve the uncertainty. I took him up to our large round arena, tacked him with a Wade saddle and a heavy hackamore, and mounted up. He was a perfect gentleman. For 20 minutes. When I pushed him into the canter, he took four strides and stopped, braced for a debate. A wiser me might have called it a day then and there, but the cowboy in me decided to ‘ride him out’ the old fashioned way. I punched him again. And off, dear reader, we went. It was not a little buck of agitation. It was a series of extraordinarily bounds left, then right – the unpredictable wrangling which, as I think most rodeo men will admit – makes horses more difficult to ride out than bulls. I instinctively reached left for the trusty one-rein pull. He did not give to it. Not a little. I felt my seat begin to come unhinged, but I knew I could not let him learn this was the way to get a day off from here out. My left leg remaining in the stirrup, and starting to lose it, I reached down again along the horse-hair mecate, grabbing it as close to bosal as I could, pulling with all I had left – so hard the force snapped the second metacarpal on my bridle hand. Alas, he finally stopped with his head at my heel. I sent him off again and stopped him again to iterate that I could. But he was merely defeated this time, not schooled. I had re-learned the age-old lesson: mess with the bull, be ready for the horns. I humbly marked this as my last macho move as a horseman. Young horses are risky enough when you think all is well, and I knew this violent cease-fire agreement – which had come at the expense of my very first broken bone – could have been resolved over a longer, more civil conversation. Amigo went back out to pasture and would not be ridden again for well over a year. When I restarted him in late 2013, I let my better angels guide me, training him strictly “by the eyedropper” in the Baucherist tradition, applying the the techniques which had proven so effective with Empire over the interim. There was no more bucking, and there were no more brawls. Moreover, only months later, Amigo saw his first fox hunt – and this only a week after I had cantered him for the first time since restarting education. This testament to Baucherism on several fronts. This spring (2016), I exhibited Amigo at the Mother Earth News Fair to support the Cornerstone Morgan Horse Club, which promotes ongoing interest in the foundation and heritage type Morgan. He was quite well received, attracting far more horse lovers and dressage enthusiasts than I had expected to be at the event. While there, I was persuaded to exhibit one of my horses in an upcoming Ranch Horse Under Saddle class by Ms. Lucy Ray, a friend who was working hard to develop interest within the Morgan horse world in this new no-frills, back-to-basics oriented competition – an alternative to what has become of traditional “Western Pleasure”. 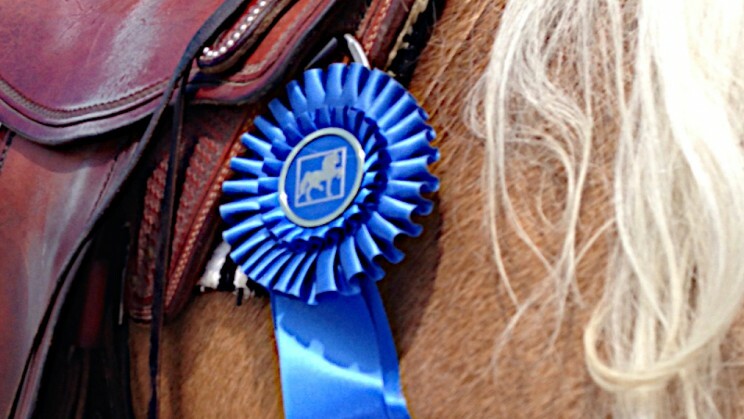 It probably goes without saying: I have less than no interest in horse-show land. But I well appreciated the sentiment behind what she was trying to do, and if I could help provide a statistic in support of the effort, why not? All things equal, Quietude Roman Empire would have been my weapon of choice for this exercise. The carnival atmosphere of the show ring environment is something to which horses must be well accustomed before they are able to relax and show what they can really do – otherwise, we are merely exhibiting a public, frustrating, ad hoc training session on a scared confused horse – regardless of his education. Empire is cool as cucumber regardless of the situation, and also naturally enjoys carrying himself in a frame more akin to the American Stock style. In this case, however, I didn’t have the right help available to care for my stabled horses that weekend, and Empire had been on a pasture sabbatical all winter. Amigo and Melody had been in active work for a few months. I put them both on the trailer for the four hour trek to Atlanta, and decided to put Amigo in the ring on the way simply because the riding pattern called for a lead change, and I had yet to start Melody’s canter work in earnest. I could have cared less about placing, but I did not want to embarrass myself either.